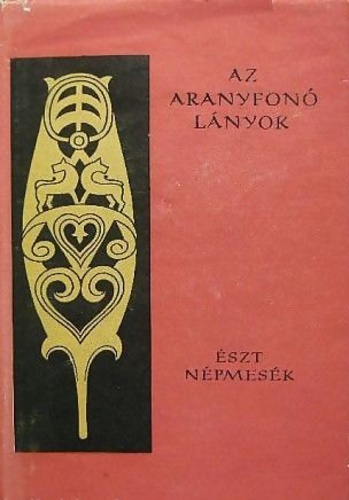 Once again, a volume from the Hungarian "Tales of Nations" series - and probably one of my instant favorites. It contains thirty-five tales, many of which I completely fell in love with at first read. They have been selected from various Estonian folktale collections by the editor, making sure that they represented narratives and motifs that are typically Estonian, rather than just versions of generally well-known tale types. 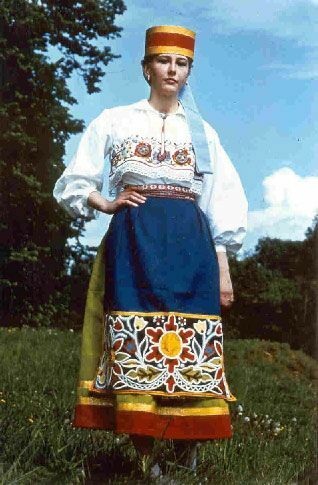 He had a lot to pick from: According to the detailed Afterword, Estonian folklore archives hold almost one hundred thousand folktales (at least they did in the 1960s). I also learned that most of the famous storytellers were male, while most famous singers of the epic stories were female. I would definitely love to read more from those archives. To read Estonian folktales in English, try this collection. The title story (The three gold-spinners) has been a favorite story of mine for a long time (I even included it in my book). It is a long and complex tale full of intrigue, magic, love, Finnish wizards, talking birds, witches, and everything else you need for a good adventure. Similarly adventurous is the Theft of Thunder, in which a poor man helps the Devil steal the Thunder from a thunder-god, and then feels guilty and helps the god recover it. 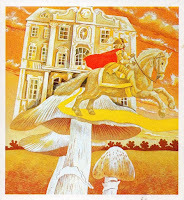 I liked the tale of the Mushroom King especially for its imagery and its outcome. 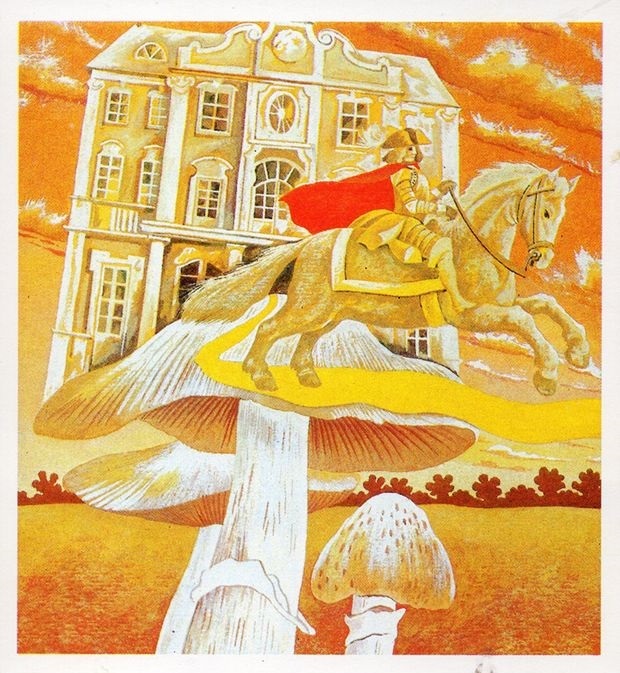 A prince rescues the tiny, captured King of the Mushrooms, and in exchange the little kind helps him along his exile, helps him fight dragons, and introduces him to his three daughters. In the end, instead of marrying a rescued princess, the princes marries one of the mushroom girls. There were several tales involving water, and the beings that inhabit it. In the Underwater People, a man whose father fell through the ice on a lake visited the underwater world, and found out what happened to the people that went there. In The Gift of the Water Mother, the mysterious helper lady told about the strange upside-down world she had come from. In The Mischievous sons of Father Frost, three increasingly cold guests visited a poor man, who put up with them patiently, and in exchange he won the ability to influence the weather. The animal and nature tales of the collection were also enchanting. A Magic Bird distracted an evil hunter from shooting at the birds of the forest; a Hedgehog wanted to cook a beetle, but was outsmarted by it; and a Sparrow brewed beer from one grain of barley in a pond, and none of the other animals had the heart to tell him it was not delicious. I was reminded of many other superpower stories by the tale of Swift-foot, Dexterous Hands, and Sharp-eye (some titles are my own translation, but that's the general idea). All three of the brothers had his own separate adventure in this long story, and then they came together to win a princess. They agreed beforehand that they will draw lots on who will marry her at the end, eliminating the dilemma part of this popular dilemma tale like sensible people (it helped that they all looked exactly alike). The tale of the Talking Flax combined two tale types in a very interesting way. A girl was pursued by a supernatural suitor she knew was dangerous; she hid in the barn from him, and the flax bundles stored there talked about what awaited everyone in the barn: Tearing, breaking, cutting, etc. (basically, the process of making clothes). The suitor got terrified and left. The first part of the tale is that of the Demon Lover, while the latter usually happens with bread instead of cloth. Waiting for Death was a story I have already encountered as a Hodja tale, while The Bear and the Three Sisters was another variant of the favorite story of mine where the clever girl rescues herself and her sisters from a monster husband (see Denmark). And find a monkey next to a large pile of bananas which uses the opportunity of the wardrobe being opened to actually leave the closet and throw the piles of the bananas it has eaten out the window. Also works with a parrot and peanuts if the children in question are too old to accept a talking monkey. The difference between this story and the Talking Flax is that in the Estonian tale the protagonist (and therefore the listener) is in on the joke, similarly to the Bremen Town Musicians, which makes me wonder what other fairy tales would turn into horror stories if there was a perspective flip. Csenge, I searched through the Hero of Estonia book hoping to find the source of Lynn Moroney's story about Sun & Moon's custody battle over their child Earth. No luck (though I did find two sources for her Elinda Who Danced in the Sky). The stories you cite from the other Estonian book look completely different: wish I could read it in English! Did you find any Sun-Moon stories there?